Thanks so much for visiting, and for commenting. Another beautiful photo, and I love the Goldie Hawn post. Thanks. But now that you’ve got me looking deeper into what “could be” in a photo, I’m a little disappointed that I can’t edit them a little. I guess that’s next on the list of things To Do. Yeah, I just “happened” upon the quote the very day I was submitting the photo–serendipity at its finest. Thanks so much, glad you like it. They were hanging outside my kitchen window in Bali. Right place, right time apparently. I love both the photo (great capture) and quote (I never know Goldie Hawn was so wise). Great submission for the week. Thanks for visiting. 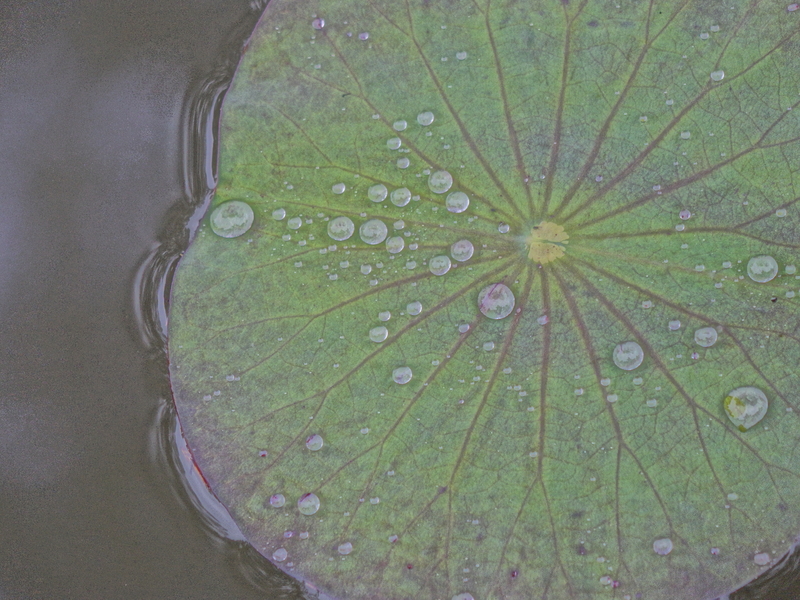 I’ve never really thought I have taken a really good shot of a lotus pad. But I guessed this was symetric. And Goldie…yeah, who’d a thunk! Gorgeous capture and post. The words are beautiful. Thanks. Thanks again. I thought my (very new) blog was going to be mostly my writing. But some of the challenges have caught my attention. And now I’m addicted. When I started blogging it was all about writing. I always had pictures there though. After doing the course Photo101, there was no way back. It is both and I love it. I am presently torn between taking upcoming Blogging 101 again (some things I did not actually perform well) and Photo 101.